Even my four year old has noticed that there are lots of spiders about. She found many fresh webs by Araneus diadematus today, and she asked why are there so many now. I tried to explain that they have grown large recently, and that's why we are seeing them more easily, but she discarded this and came up with her own explanation: is her watering the plants yesterday what must have made them grow. Female Araneus diadematus are reaching quite large sizes now, although there is a lot of size variation. The record holder in our garden sits by two rubbish bins, and has probably been gorging on the flies the rubbish attracts. Males have also reached adulthood and, in contrast to the sit-and-wait females, are moving between bushes in search of receptive females. I have come across three in the last few days. 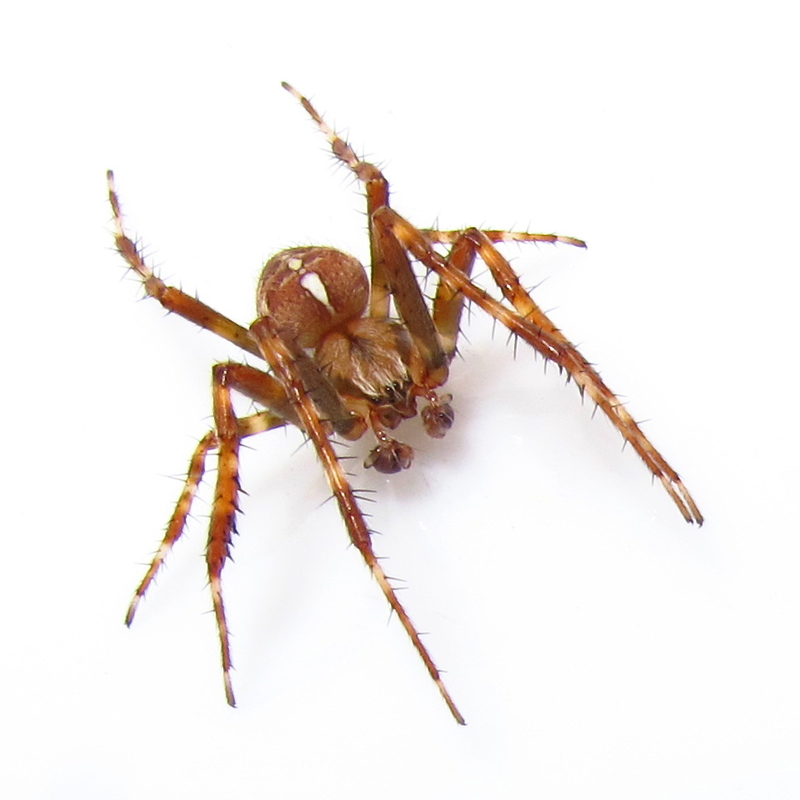 They have slimmer abdomens and robust legs and their palps are quite noticeable. The male must be careful, though, as females will quickly make a meal of him if he does not reach their high standards. I found this male getting closer to a small female's web. As he was on a broom, focusing him was very tricky and I resorted to trying the white bowl.